Whether you're on the go or have multiple locations, Loyalty Gator's cloud based loyalty system makes it easy to add to your business. 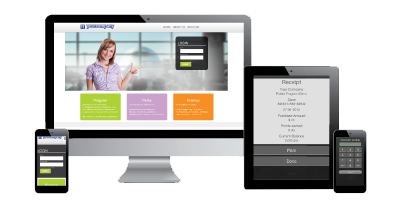 Connect with third party systems such as Facebook, Twitter, and MailChimp® or integrate with your Point-of-Sale system and website shopping cart. Our awesome, feature-packed loyalty dashboard interface can be used by your team on both PC and Mac computers. Your customers can easily access their account from your website on their desktop computer or mobile phone. Introduce a tablet/kiosk in-store and allow your customers to earn points by simply checking in. This application is ideal if you're looking for a way to incentivize customers for visiting with little or no action required from your staff. Use our loyalty program software on your mobile device! This is especially handy if you or your reps are always on the go but need a fast and convenient way to process loyalty transactions for your customers. Some devices also support a card reader attachment. Ask us for details. Some POS systems are able to integrate with Loyalty Gator via our API. Contact us for more information.